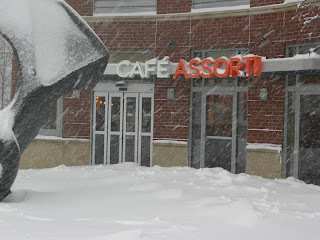 Cafe Assorti serves, among other fine foods, delicacies that you might find in a restaurant in Siberia. The bar, pastry shop, and restaurant are open as of 11:30am this Saturday. If you want something more boring, Safeway and CVS in Rosslyn are open, too.